A4 portrait hard cover book, glossy pages, with extra A2 pull out sheet with scale drawings. 184 pages. 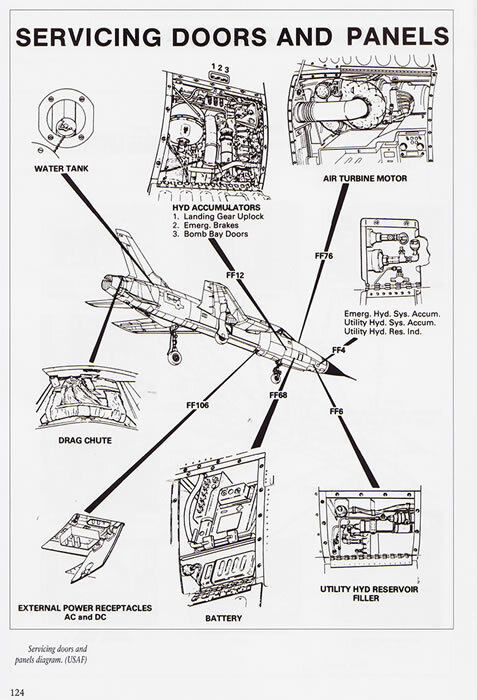 A very detailed look at the F-105 Thunderchief with all the details a modeller could need. 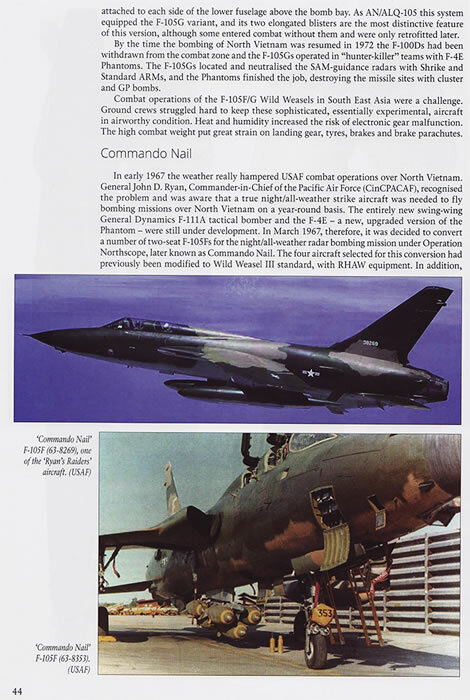 A great reference book to have in the collection for those interested in the USAF of the Vietnam war era and modellers of the Thunderchief. 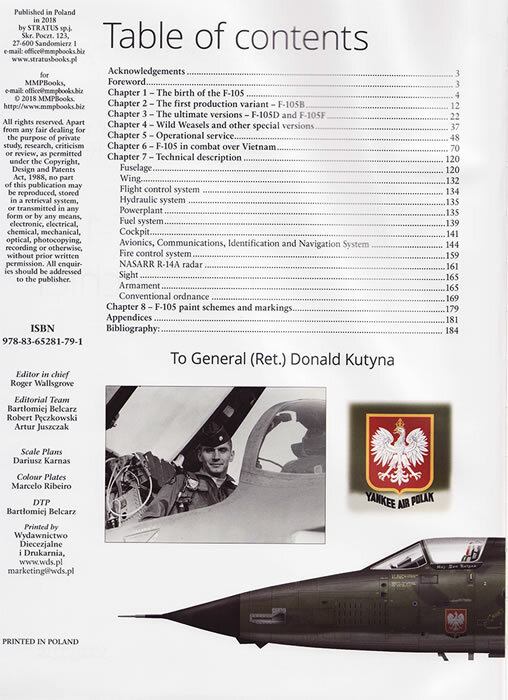 Mushroom Model Productions has added to their excellent Yellow Series of books with the publication of Jaroslaw Dobrzynski’s, Republic F-105 Thunderchief with the numerous colour plates done by Marcelo Ribeiro. 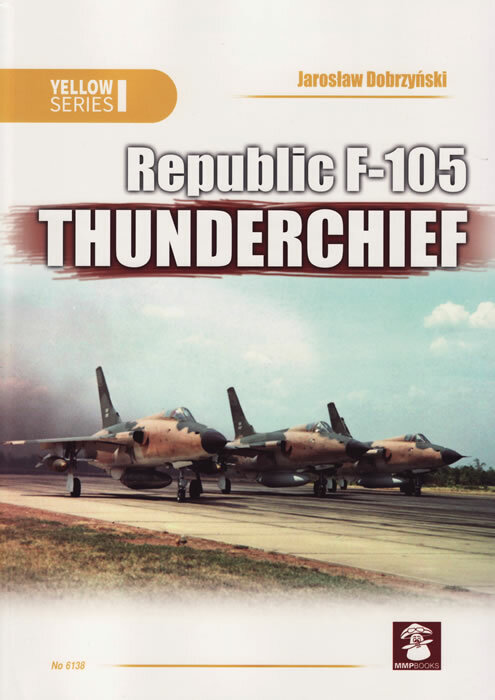 This book is an illustrated technical history of the Republic F-105 Thunderchief supersonic fighter-bomber used by the USAF. 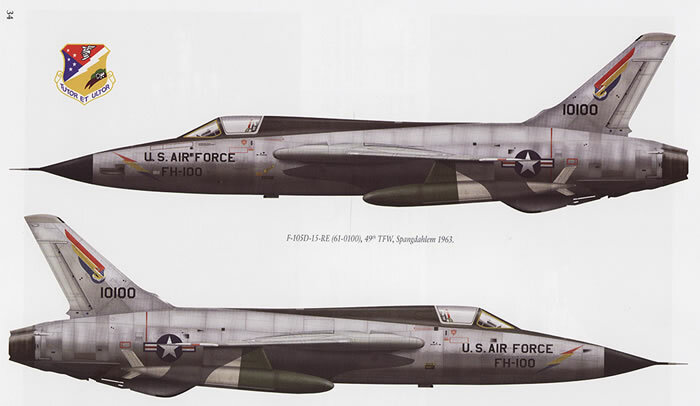 The F-105 conducted the majority of strike bombing missions during the early years of the Vietnam War. 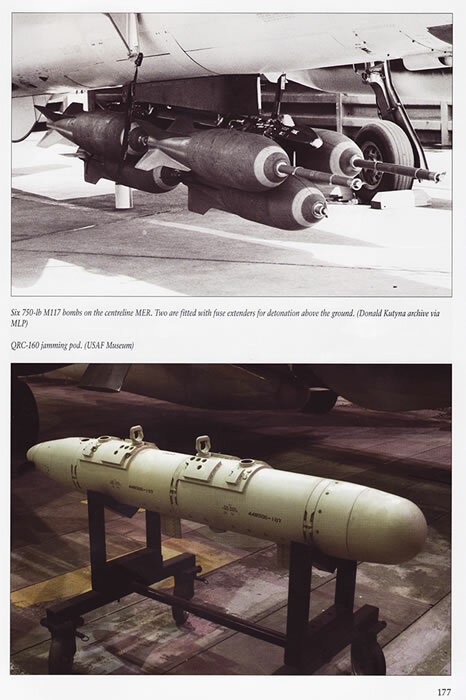 The book opens with a historical overview of the development of the F-105 and it’s subsequent development to the D and G versions. 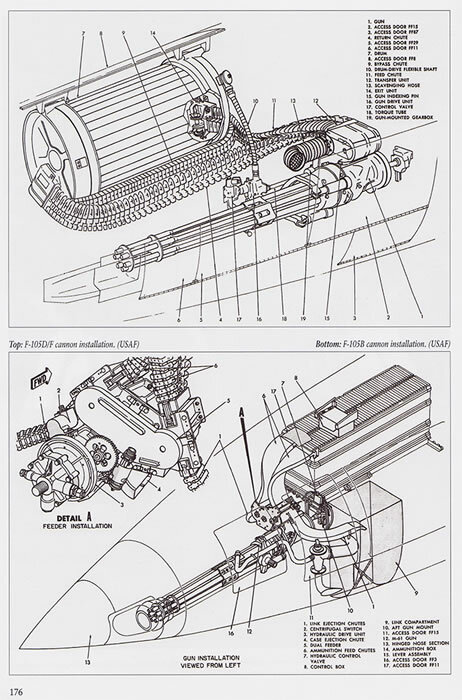 It then looks at the development of the Wild Weasel versions and tactics of the Vietnam War. 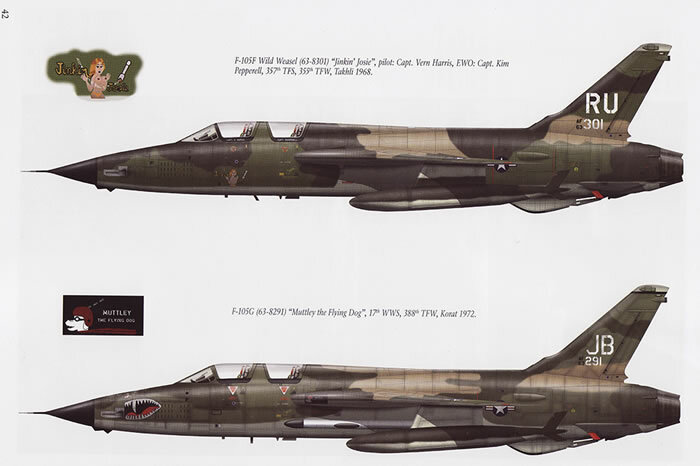 The next major section is a detailed look at the Vietnam War combat history of the Thunderchief, This is a large section of 50 pages with numerous photos of the F-105 in action, which is great for the modeler as reference source. 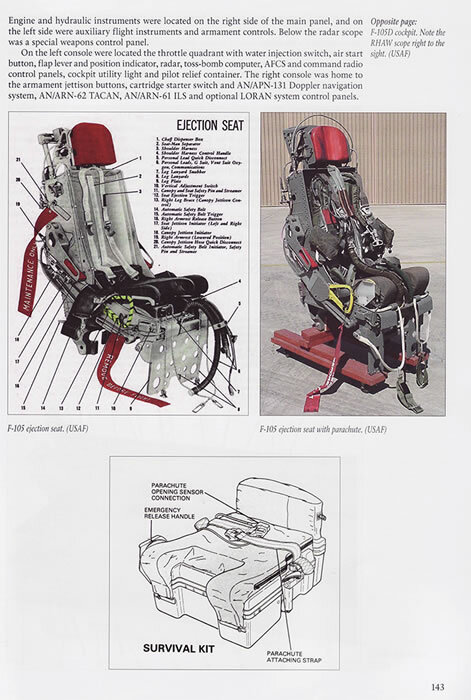 The next section is a wonderfully detailed technical description of the Thunderchief, specially focusing on avionic of this Cold War era fighter-bomber, whose primary role was to be nuclear delivery, but instead saw widespread service as a conventional bomber and interdictor during the Vietnam War. 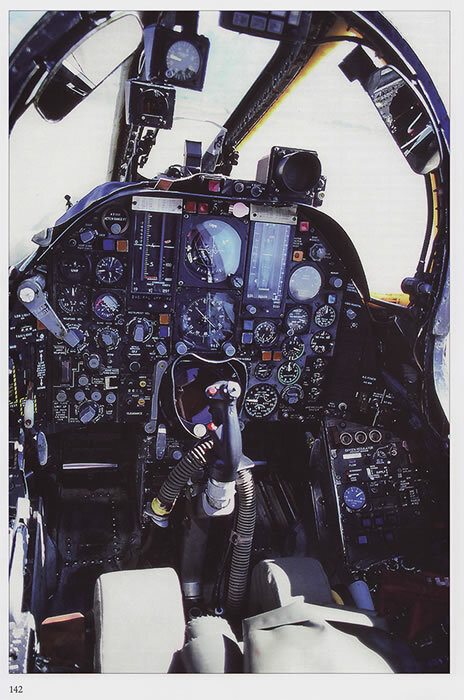 The 2 seater trainer version was converted to perform a new mission – the suppression of enemy air defense (SEAD) and proved highly effective in this role. 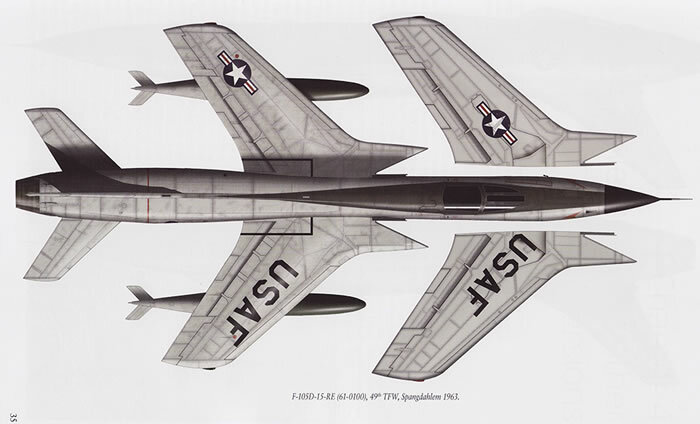 After the Vietnam War, the type served with Air National Guard and Air Force Reserve units until early 1980’s. The final section is a camouflage and marking section which has colour chips to help the modeler ensure that their models are colour correct. 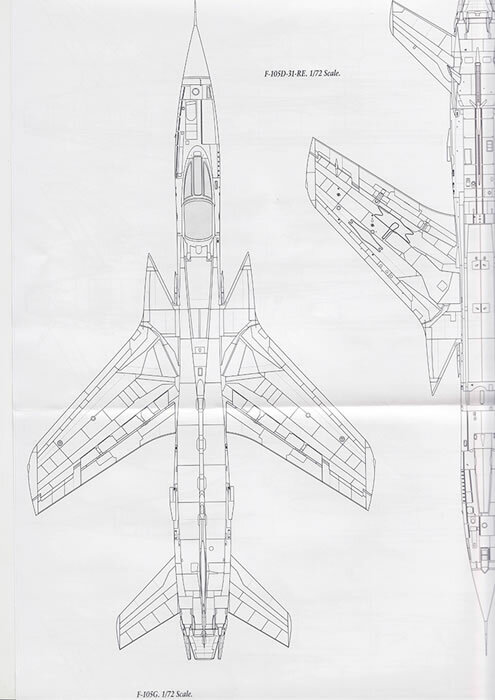 There are several appendixes with version details, units that flew the F-105, tail codes and production tables. 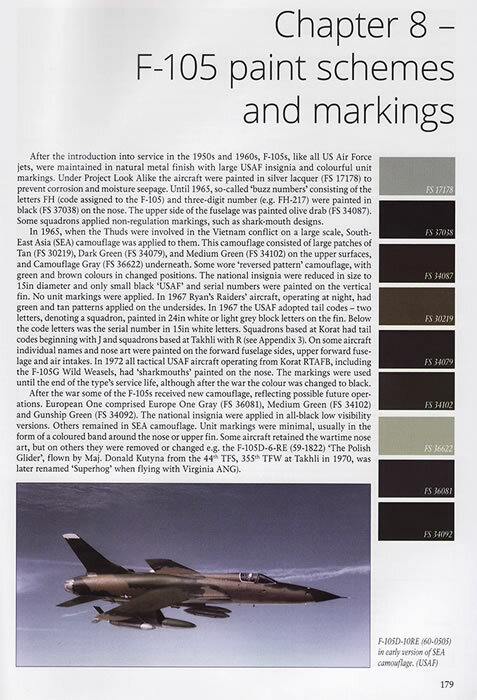 This book features superb colour profiles of aircraft from early natural metal through to the well-known camouflaged versions, walk-around photographs as well as rare black and white archive photographs. A real bonus is the pull out A2 double sided set of 1/72 drawings of a variety of versions from the prototype to the late model D’s and G’s. The views include side profiles as well as several top and bottom views of both the D and G versions. 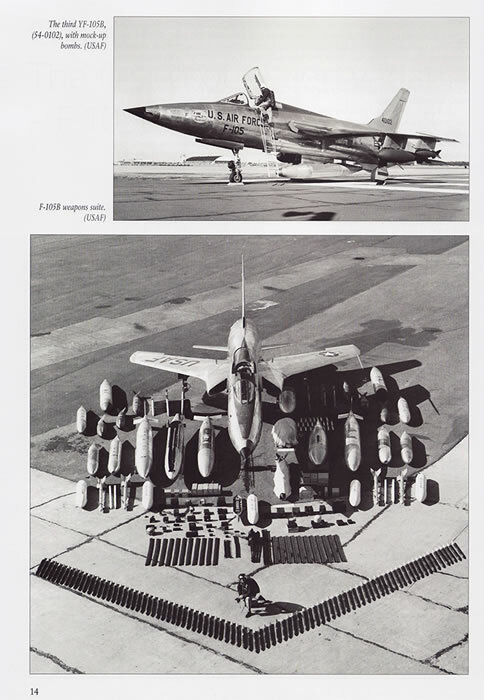 In conclusion, this is a great compendium to modelers of the F-105 Thunderchief and to those historically interested USAF aircraft and operations. I would recommend this readily to add to the library.